There is no shortage of choice when it comes to drawing up a shortlist for a computer monitor. There's little reason to spend much more than £100 for a 22-24in full-HD (1,920x1,080) screen from a reputable manufacturer. Spend a little more and the choice extends to the type of panel - IPS, VA, TN, etc. 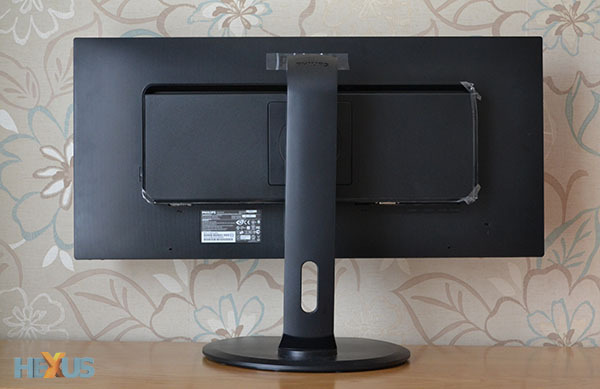 - and paves the way for a greater number of monitor-side connections. Stepping up the financial outlay to some £200 brings larger displays into focus, typically 27in models sporting the same full-HD resolution, while spending upwards of £400 brings higher-resolution panels to the fore. These 27in (2,560x1,440-pixel) screens are about as impressive as monitor technology gets without having to fork out a ludicrous amount of money. It's clear that you pay a premium, and a very substantial one at that, for moving beyond the now-standard full-HD resolution. A few companies believe there's real opportunity for releasing monitors with a resolution fitting between the 1,920x1,080 and 2,560x1,440 that define most 27in screens. 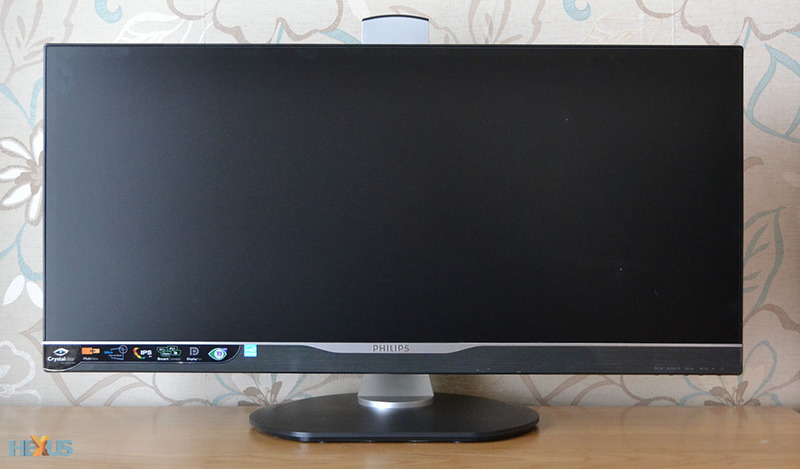 Presented in a 29in, superwidescreen form factor and sporting a 2,560x1,080-pixel IPS panel, Philips is one of the first to try its hand at enlarging your field of view. Let's take a closer look at the £415 298P4QJEB. 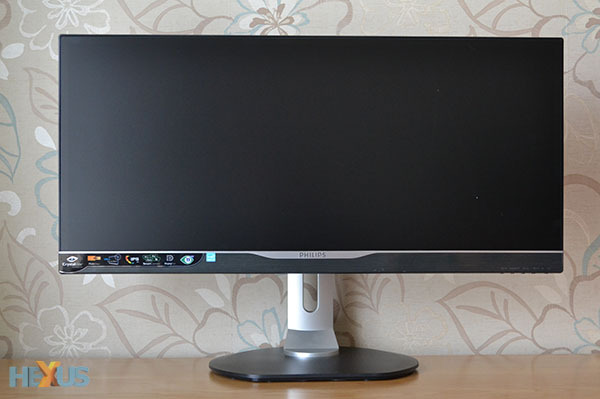 Measuring 29in diagonally and 27.5in wide, the monitor looks like a stretched-out version of a standard PC screen... and that's precisely what it is. 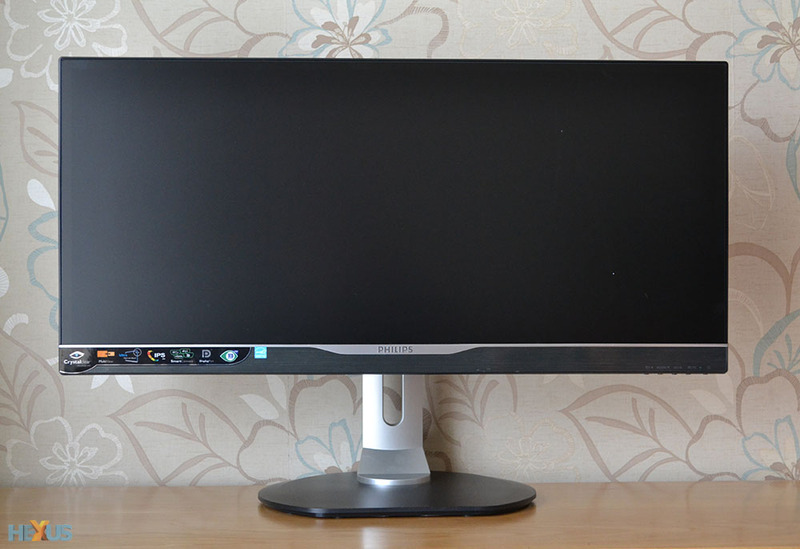 Equipped with a 21:9 aspect ratio that's comfortably wider than the 16:9 or 16:10 on regular widescreen panels, the near-9kg 298P4 feels almost too wide on first glance. 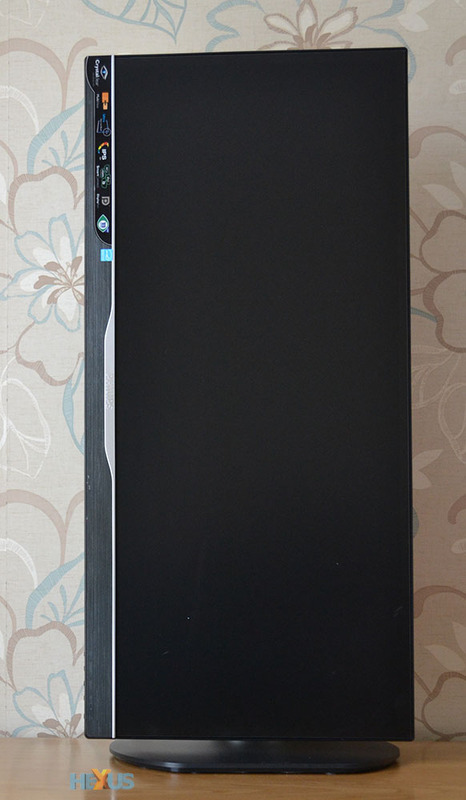 The screen has a matte finish that does a good job at stifling reflections. Styling is impressive, made possible by a 2.5mm bezel fitting outside a 9mm-thick black surround that's part of the panel. A thin silver accent runs across the plastic bottom and enlarges to incorporate the Philips logo. Five non-touch control buttons, located on the bottom-right, are the only visible additions to the screen, and there's a solitary small LED to denote operation. 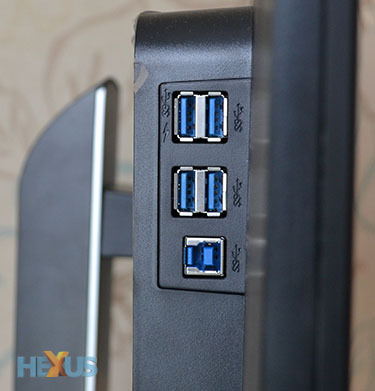 The reason how Philips can make the 298P4 svelte rests with incorporating the power supply, additional circuitry, inputs and USB 3.0 hub on a protuberant section at the rear. 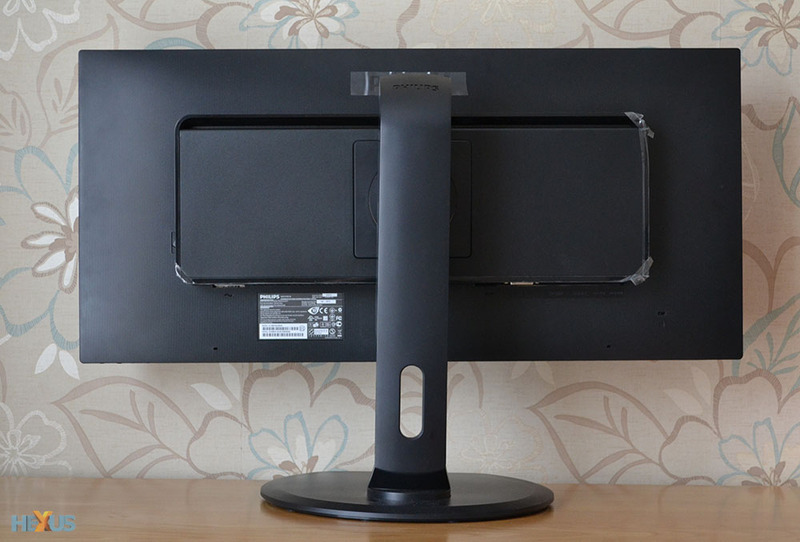 The stand, which takes but a moment to attach, enables the monitor to be pivoted into portrait mode - though we're not sure why you would want to - swivelled 65° in either direction, tilted 20° backwards/5° forwards, and, making sure the height is just right, lowered by up to 150mm - where it gets reasonably close to touching the base. Bear in mind doing so makes the upper portion of the stand immediately visible when sat at panel height. As usual, the rear is VESA-compatible. 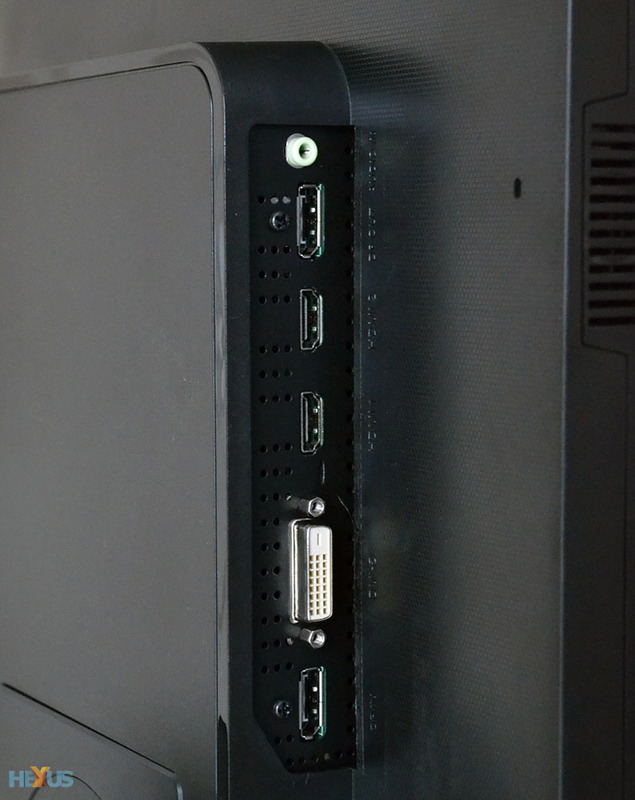 Looking from the front, the left-hand side section of the rear is home to four USB 3.0 ports and a downstream connection to the PC. 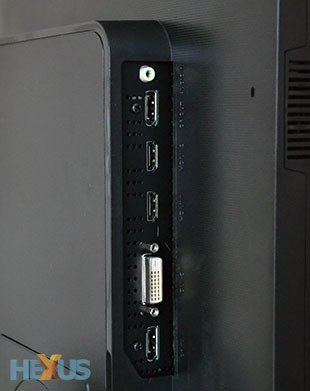 Directly below, meanwhile, there are five digital connections: dual-link DVI, two HDMI, DisplayPort-in (v1.2), and DisplayPort-out, while PC audio-in and headphone-out is pretty standard fare. The bottom of the screen houses two downward-firing speakers that, like most, are only able to reproduce basic-quality sound. 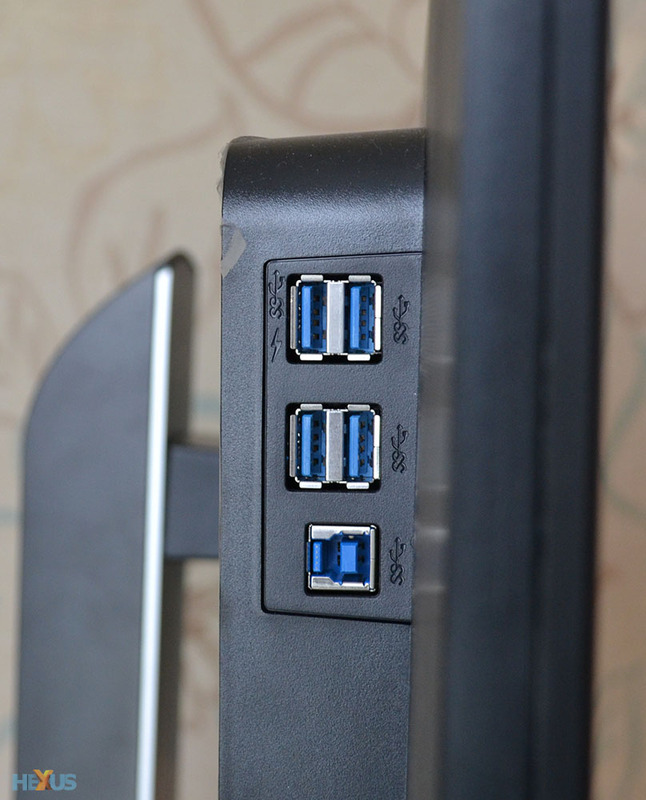 Philips dutifully supplies a dual-link DVI cable but no HDMI lead in the package, though any aftermarket cable has the necessary bandwidth to run the native 2,560x1,080 resolution. The OSD controls are intuitive for the most part, replicating the settings found on other Philips monitors - including picture- and contrast-boosting SmartImage/Contrast technologies - but the 298P4, by dint of its size, under the company's Multiview technology, is able to display another input via either picture-in-picture or two side-by-side, evenly split down the middle. Both modes work well enough, too.